Focusing on the entire range of launch vehicles, satellite manufacturers, and ground infrastructure this segment covers the CAPEX-side of the satellite industry. 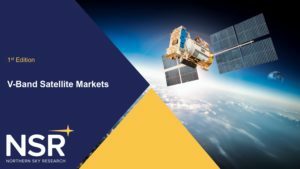 Giving context and perspective to both the established markets, and emerging technologies dig beneath the hype to discover what are really the ‘next big things’ for satellite markets. NSR delivers clarity – Critical market insight giving Market Leaders the edge over the competition. 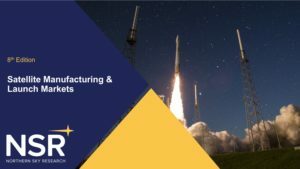 NSR’s Satellite Manufacturing and Launch Services, 8th Edition report provides must-have information for the backbone of the satellite industry. 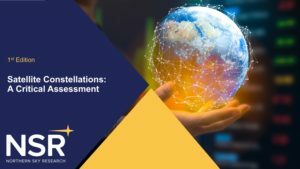 NSR’s Satellite Constellations: A Critical Assessment report dives into the various aspects of the business and takes a stance on the future of key satellite constellations. 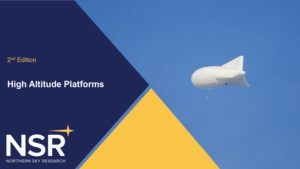 NSR’s High Altitude Platforms (HAPs), 2nd Edition report offers a comprehensive analysis of the global HAPs market, including projects underway, platforms, applications and growth prospects. In this industry-first study, NSR examines the respective benefits and drawbacks of V-band, the frequency band just above Ka-band, and one which is expected to become increasingly relevant for satellite operators, whether in GEO, MEO or LEO, over the course of the next decade and beyond. 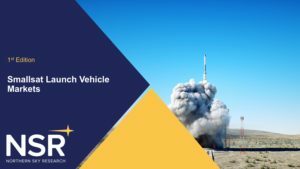 NSR’s Smallsat Launch Vehicle Markets is the first ever study on emerging launch vehicle family development, including analysis of nearly 50 smallsat launchers and key metrics across all markets.